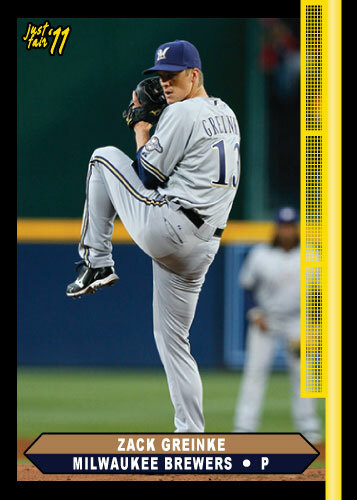 This is the Zach Greinke card I posted yesterday except I fixed one small mistake on my part. I put the foul pole on the wrong side. I keep in mind the foul pole of these cards when I am cropping the photos and I planned on having it on the right but happened to put it on the left. I like the card much better this way. It is a nice sample from the set.